Come join us at the 43rd Annual Lazy Daze Arts & Crafts Festival. In 2016, the festival expanded from a one-day event to a two-day event. 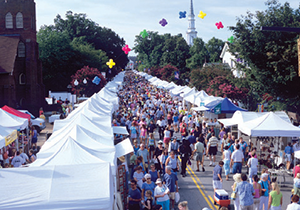 The 43rd festival will continue in the two-day format and the festival will remain on Cary's Town Hall Campus. Join us as we celebrate the coming of fall by joining our friends and neighbors for two days to celebrate the arts, music and food!